The annual Consumer Electronics Show (CES) is always one of the largest and most anticipated events in computing, devices, and electronic gadgetry, and CES 2012 was no exception. But with all the focus on Smartbooks, Smart TVs, Smart Appliances, and tablets of all shapes and sizes, it's easy to see why news of other device classes might get drowned out by all the noise. Add to that a gap in manufacturing created by hard drive shortages, a next-generation processor transition, and delays in Microsoft certification, and it's easy to understand why it might be hard to find good information on upcoming devices in our favorite product class - namely netbooks and mini-notebooks. But fear not, for a plethora of exciting devices are slated to arrive in the coming months. One of the biggest developments to impact netbooks and mini-notebooks in 2012 will surely be the battle for processor supremacy between Intel's new Atom "Cedar Trail" processors and AMD's recently updated "Fusion" line. With Cedar Trail, gone are the single-core Atom processors of old - only dual-core options will be available. Intel promises that the new N2600 and N2800 will not only be faster, but also require less power, offering upwards of "10 hours of battery life and weeks on standby". Intel has also doubled the graphics horsepower, claiming that the new chips will drive 1080p full-HD video out of the box. But while these new chips should offer better raw-processing performance, early benchmarks indicate that they still fall far short of the graphics powerhouses that are the AMD Fusion line. But AMD processors are more expensive and generally draw more power, so don't expect to see them in lower-cost 10 inch netbooks with super-long battery life. But perhaps the best news of all: expect price decreases, instead of the same or higher for many of these new, improved, and higher-powered devices. In addition, most vendors appear to have seen the light and are reducing the overall number of SKUs (ie model numbers), which should make purchasing a netbook far easier for the average human. Acer didn't make a big splash with it's new Cedar Trail-based netbook at CES, however rumors of a new device have been circulating for some time and the AspireOne D270 has quietly appeared for pre-order on Amazon's web site. Available in Aquamarine, Burgundy Red, Expresso Black, or Seashell White with a 1.6GHz Atom N2600 dual-core processor, 1 gigabyte of RAM, a beefy 5,400RPM 320 gigabyte hard drive, a 0.3MP webcam, 3 USB 2.0 ports, HDMI/VGA ports, 802.11b/g/n WiFi, and a 6-cell battery (4400 mAh) with a promise of up to 8-hours battery life. Quite impressive specs, especially when one considers the price - it's just $279. Expect to see them ship in early February. Asus will soon be shipping several netbooks and mini-notebooks, including both Intel and AMD models. Based on a new "Flare" design, 10 inch (1024x600) EeePC 1025C will ship with a 1.6GHz Atom N2600 dual-core CPU, 1 gigabyte of memory, a (presently unspecified size) 5,400RPM hard drive, 802.11b/g/n WiFi, a 0.3 megapixel webcam, VGA/HDMI outputs, and a 6-cell (56WHr) battery that should be good for about 10 hours. Other perks include built-in Altec Lansing speakers and a USB 3.0 port, all for just $299. For $20 more, you can bump up to the 1025CE, with a 1.86GHz Atom N2800 dual-core CPU. Both models should be shipping by early February. 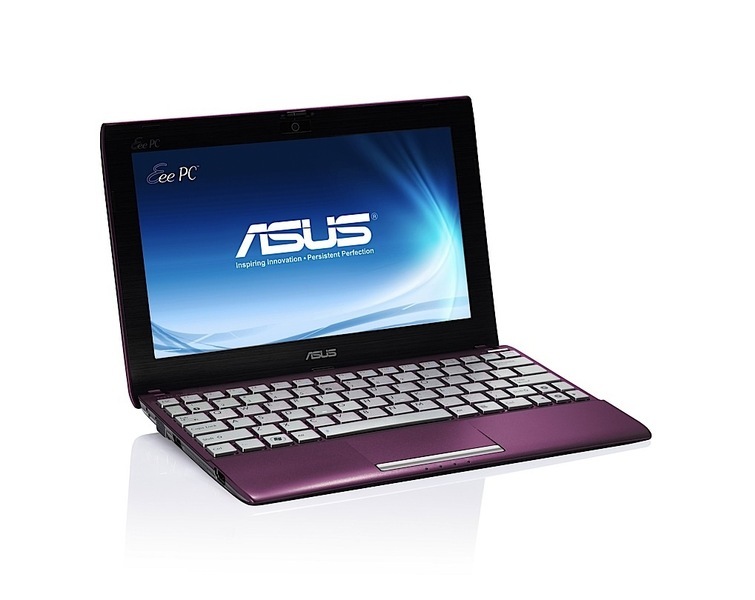 For those seeking a larger, beefier mini-notebook, Asus will be offering the 12.1 inch EeePC 1225B. Sporting a 1.6GHz AMD E-450 dual-core chip with integrated Radeon 6300 graphics, a 1366x768 native resolution, 2 gigabytes of memory, a (unspecified) 5,400RPM hard drive, two USB 3.0 sockets (and a lone USB 2.0 socket), 802.11b/g/n WiFi, VGA/HDMI outputs, a 0.3 megapixel webcam, and Bluetooth 3.0, expect this baby to be a real scorcher (relatively speaking). Expect it to ship in February for a competitive $399. Finally, Asus will upgrade the X101 series with the X101CH. Sadly gone is the solid-state disk and the MeeGo Linux option, in favor of a 5,400RPM spinning disk and Windows 7 Starter. The new version gains the Atom N2600 dual-core CPU, but the rest of the specs remain largely unchanged, including the rather anemic 3-cell battery. That said, it is smaller and thinner than the others, with a low-low entry-level price tag of $269. It's disappointing that the original excellent $200 X101 is no longer available, but hopefully Asus will hear our cries and release something similar in the near future. 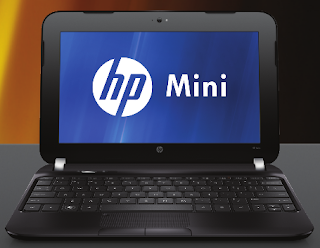 On the 10 inch netbook front, HP will be updating the Mini 1103 (one of our favorite 10 inchers) by bringing us the new Mini 1104. Boasting the same excellent design stylings as the dm1z, the 1104 will offer either the Intel Atom N2600 or N2800 dual-core processor, 2 gigabytes of RAM, a variety of hard disk options, a 0.3 megapixel webcam, 802.11b/g/n WiFi, and both 3 and 6-cell battery options offering up to 9 hours of battery life. In addition, HP was able to provide for a slight increase in the size of the keyboard keys and a larger trackpad space, thanks to the newly placed trackpad buttons at the edge of the case. Of particular interest to schools are promised, more durable design featuring an accelerometer that rapidly parks the hard disk in the event of a fall and a spill-proof keyboard, which will be standard features. Expect these to ship in February, starting at $299. The 10 inch S110 is known to come with an Intel Atom N2600 dual-core CPU, 1 gigabyte of RAM, a 320 gigabyte hard drive, and USB 3.0. It will presumably have an 0.3 megapixel webcam by default, since Lenovo has said there will be an optional 720p HD webcam upgrade. There are also rumors of low-cost solid-state storage options, which will be extremely attractive to schools. At just 17mm thick and with an availability in a variety of colors for a price tag of just $299, the S110 will certainly be a force to be reckoned with. Just don't expect to see them until April or so. Lenovo also announced their new, larger, 11.6 inch S200 and S206 mini-notebooks. These 1366x768 devices will offer the option of either an Intel Cedar Trail processor (S200) or an AMD C60 Fusion processor (S206). Lots of customization options will be available, including up to a 500 gigabyte 7200RPM hard disk or a 32 gigabyte SSD (again, great for schools), up to 2 gigabytes of RAM, multiple webcams (presumably 0.3 megapixel as well as 720p HD), and battery options. Clearly, Lenovo didn't get the memo on reducing the number of SKUs, but that might just be a good thing. Both of these are expected to start at $349, but don't plan on seeing them available for order before June. 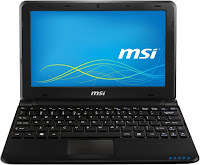 MSI is better known for producing motherboards, but a few years ago they became one of the driving forces for netbooks in the marketplace, and for 2012 they plan to continue that effort. 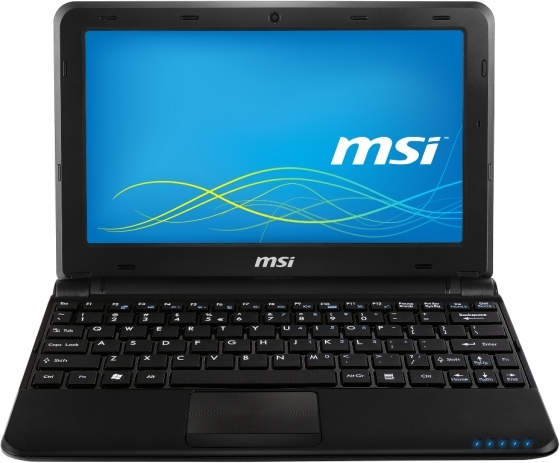 Just prior to CES 2012, MSI announced the their latest Cedar Trail netbook, the U180. 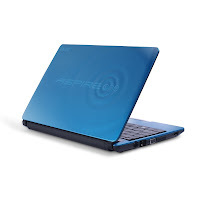 Coverage has been fairly light on this model, but we do know that the 10 inch, 1024x600 model will come standard with the higher end, 1.8GHz N2800 dual-core processor, up to 2 gigabytes of RAM, either 320 or 750 gigabyte hard drive with a solid state option also mentioned, a 0.3MP webcam, HDMI/VGA ports, 802.11b/g/n WiFi, and a 6-cell battery. If the past is any indication, expect pricing to be very competitive for this model. I wouldn't be surprised to see it at $299. The U180 is already shipping overseas, so expect to see it hit the U.S. market any day now. 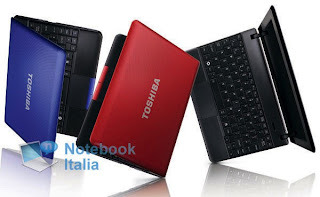 Toshiba has always been a popular choice among netbook enthusiasts, and for 2012 they are releasing the new NB510 series. These 10 inchers will be available with either of the dual-core Intel Atom Cedar Trail processors and ship standard with 1 gigabyte of RAM, 5,400RPM 320 gigabyte hard drive, a 0.3MP webcam, 3 USB 2.0 ports, HDMI/VGA ports, 802.11b/g/n WiFi, and a 6-cell battery. Beyond that, details are fairly scant, so don't expect to see this netbook for at least a few months. The Intel Classmate PC Platform has been updated to include the new Cedar Trail Atom processors, and a number of vendors like Lenovo and CTL will be releasing updated models. These ruggedized netbooks are designed to take a beating without suffering major damage, but that durability comes at a cost in terms of size and price - typically $100-$200 higher than similarly spec'd netbook models. 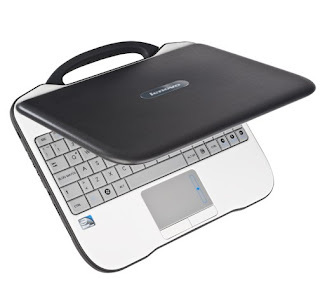 Expect fairly standard netbook parts for these, including 10 inch 1024x600 screens, 1 gigabyte of RAM, 320 gigabyte 5400RPM hard disks or optional 32 gigabyte solid-state storage, 802.11b/g/n wifi, up to 2 megapixel webcams, and 6 cell batteries, with optional, convertible tablet models also available. These devices are only available to order in quantity for schools. 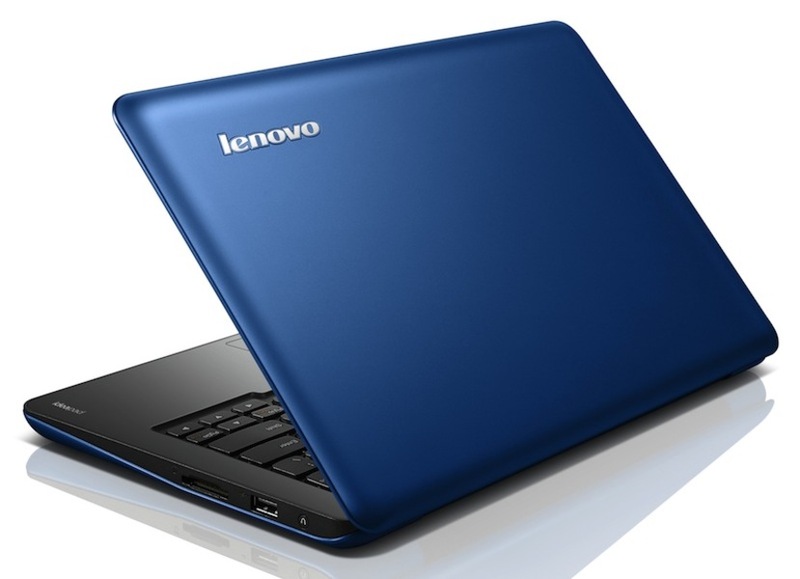 Both Lenovo and CTL announced new models at CES. Obviously, the low-cost netbook/mini-notebook space is alive and well, despite recent unforseen delays. All of the above vendors announced commitments to the netbook space for the foreseeable future, and with nearly 30 million units shipped in 2011 and a plethora of options coming in the first half of 2012, schools and other education institutions can expect to have plenty of great options to choose from for many years to come. I look forward to bringing the power of ubermix to all of them, and hearing about how you are transforming the education space with these next-generation devices!